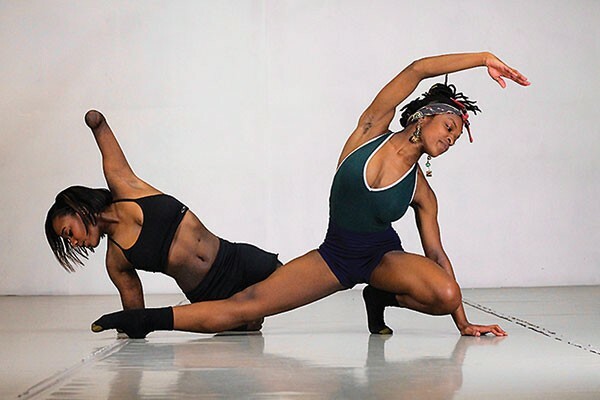 Kiera Brinkley (left) performs March 18-20 with Texture Contemporary Dance. This photo depicts her performing an earlier work with her sister, Uriah Boyd. For its latest production, Reflections, Texture Contemporary Ballet is adding a bit more, well, texture. The company, whose programs through five seasons have been dominated by the ballets of artistic director Alan Obuzor and associate artistic director Kelsey Bartman, will include works by three other choreographers, including a performance by guest dancer and quadruple amputee Kiera Brinkley. “We like having other choreographers come in. We get tired of ourselves,” jokes Bartman. She and Obuzor will still account for half the works on the program at the New Hazlett Theater, whose four performances March 18-20 include an abbreviated March 19 matinee for children. Bartman’s latest, “O,” is set to Coldplay’s song of the same name. The three-minute solo for dancer Victoria McWilliams “is about looking up to someone and being impatient about wanting to be where they are in their life,” says Bartman. Obuzor’s new solo for dancer Jean-Paul Weaver is likewise titled after and danced to a rock song, The Fray’s melancholy “Happiness.” Obuzor’s other new ballet is the 29-minute “Un-preservation of Humanism,” set to classical music by Ezio Bosso. The abstract ballet for eight dancers is about humanity and how the past transitions into the present. The prolific Bartman and Obuzor, who have already created upward of 60 ballets for the company, need the dancers they work with to be versatile and able to learn choreography quickly. With ample talent coming out of Point Park University — the company’s main source for dancers — Obuzor says that hasn’t been a problem. 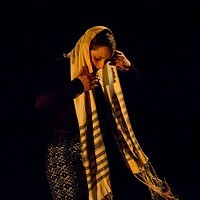 One such Point Park connection is dancer/choreographer Jamie Erin Murphy. Her new 11-minute contemporary/modern dance work for the company, “Scrambled,” set to music by German composer Nils Frahm, is about “trying to overcome and rid ourselves of anxious feelings that can take over our thoughts and control us,” says Murphy. Another Point Park alum is former August Wilson Center Dance Ensemble member Annalee Traylor. Her first work for Texture, the six-minute “Hypno,” is inspired by “the mysterious and haunting music” of German industrial band Einstürzende Neubauten. The marquee work in Reflections, however, comes from Texture company dancer Weaver, whose 20-minute multimedia “Vwayaj” (Haitian Creole for “traveler”) taps into his Haitian/American cultural roots and features Brinkley. The abstract, multimedia work is set to Belgian musician Le Motel’s traditional African music amended by a dance-club beat. The piece “presents the folkloric stories of Haiti through an Afro-futuristic perspective,” says Weaver. The idea is to explore how current scientific thought might reveal the truths in these universal folkloric themes. One of the work’s motifs themes involves spiral imagery, as that of serpents coiling together. Weaver relates that to the double helix of DNA. Another motif references Haitian folklore that describes life’s origins in the ocean; other themes include evolution and reincarnation. 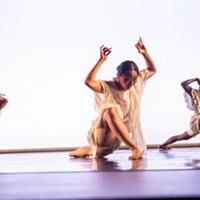 In a video of a portion of the work shown last November, at Texture’s WIP Choreography Project, I found Weaver’s choreography to be a compelling, full-throttle mix of African and contemporary dance styles. Weaver chose the Portland, Ore.-based Brinkley to dance a prominent role in his new work because the two had danced together years ago in Portland’s Polaris Dance Theatre and have been looking for an opportunity to perform together ever since.